The sun is out and the days are long. There’s no better time to kick back in the warm outdoors and talk with friends over the grill. The best thing? It’s easy as pie providing you have the key elements in place. If you’re inviting friends over for a spontaneous barbecue, make sure you make your garden feels as inviting as your dining room. Nothing like a textured tablecloth with matching napkins to bring the look together. Some string lights in the tree will surely set the right mood, and always remember to place the food close to the action. Keep it fun and intimate by putting finishing touches on your dishes right at the table. A drizzle of oil or vinaigrette, fresh herbs or grated cheese and everyone will be ready to dig into those lovely BBQ dishes. It goes without saying that the BBQ master is the backbone of any barbecue. Be sure the grilling area is fully prepped with whatever they may need like vinaigrettes and BBQ sauce for drizzling over the meats and vegetables so they can focus on making every morsel delicious, and still hold court with guests on the perfect way to cook a steak. 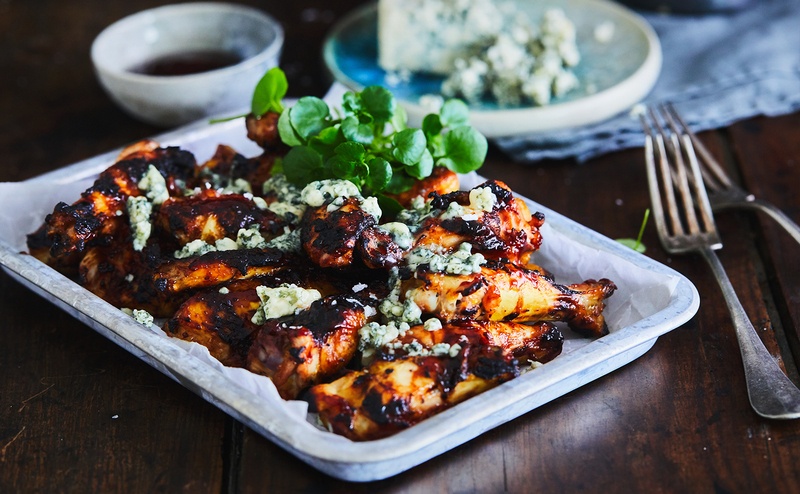 Make sure your spontaneous summer party is one to remember by adding a few twists to the classic BBQ recipes to keep the party inspired, conversation going and plates filled. Small additions such as swapping corn for asparagus or fennel on the grill or melting Castello Burger Blue sliced cheese atop a juicy steak or burger make all the difference, and taking no time at all! Adding lots of fresh herbs to the table will allow your guest to pick and choose and play around with different flavors. 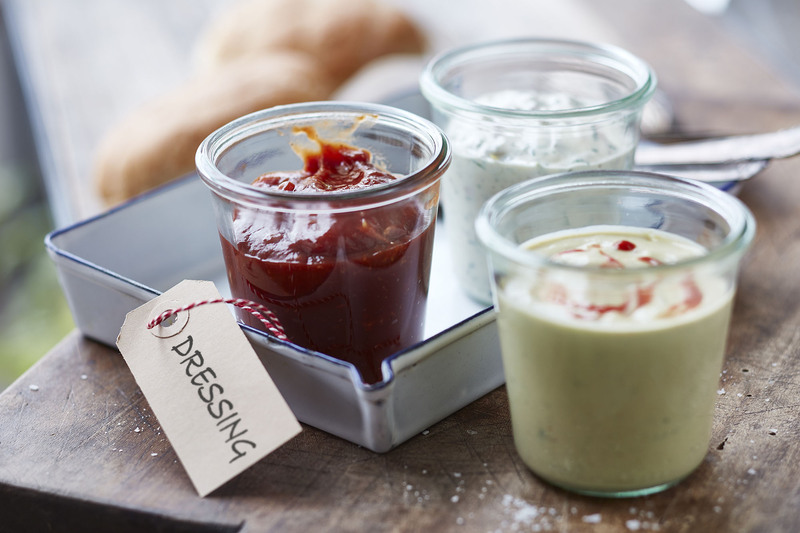 Barbecues are all about the dips and sauces. Ketchup, mayo, Honey Djion and mustard are the staples. Add pickles, avocado, grilled red onions and jalapeños for an extra level of deliciousness. Sides make the barbecue. Luckily it doesn’t require much to hit it out of the ballpark. From a simple corn-on-the-cob topped with butter or cheese to a fresh Caesar salad, spiced baked beans, Mac 'n Burger Blue Cheese, garlic bread or baked sweet potatoes loaded with chicken and Castello Extra Mature Cheddar – whatever tickles your fancy just make sure you have enough for everyone! Get inspired for your BBQ side dishes here. Keep the barbecue informal and your hands free by having an ice and pourable drink options. Ginger beer, wine, juices, sparkling water, prosecco and beer should cover it. And of course, should cocktails be essential to your party, go for a large punch option that you can fill and let guests help themselves. It’s also a great ice breaker to get the party started. Are you ready to host a spontaneous barbecue? No need to stress, we have a guide on what you’ll need packed away to relax when hosting here.